The hottest yoga workout you will ever experience. 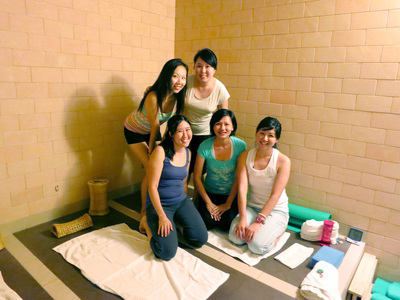 GanbanYoga is a form of far infrared hot yoga that is actually a combination of yoga and Ganbanyoku hot stone therapy. 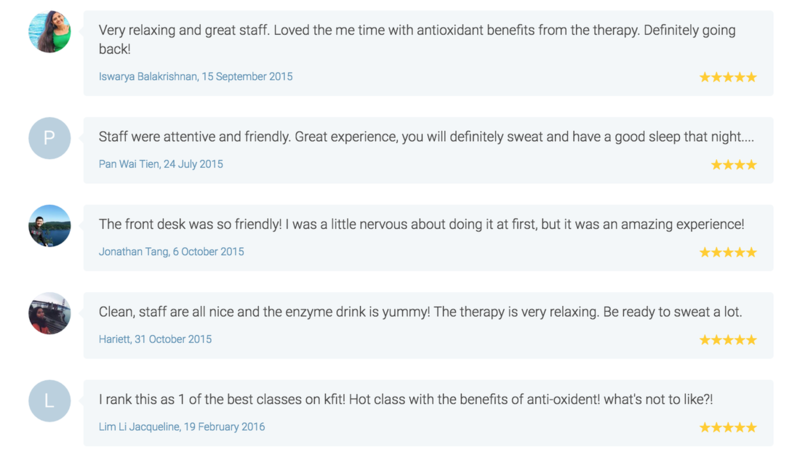 Unlike many hot yoga studios that use hot air to heat their rooms, our AntiOxidant Wellness therapy rooms use superior far infrared technology to ensure deep penetration of the body that allows for greater detoxification of toxins and waste materials. Other benefits of far infrared therapy include muscle relaxation, recovery and added flexibility. Doing yoga in our therapy rooms also greatly improves breathing. Negative ions present in the air bind to dirt particles removing their ability to stay airborne. The gentle stretching and basic poses are great for all ages and perfect for beginners. If you love hot yoga, our lessons conducted in our Ganbanyoku rooms will be a truly unique and memorable experience for you! Dedicated and passionate in their multiple disciplines, our yoga instructors are here to ensure you get a proper stretch out every session! Shermaine is an avid adventure seeker and loves challenging herself for new experiences. Ever since the graduation of her Teacher Training Course as a Yoga Instructor in 2014, Shermaine has actively immersed herself in different environments and styles of teaching; a short student exchange stint in Vancouver has also exposed her to the varying international demands of yoga students in other countries. 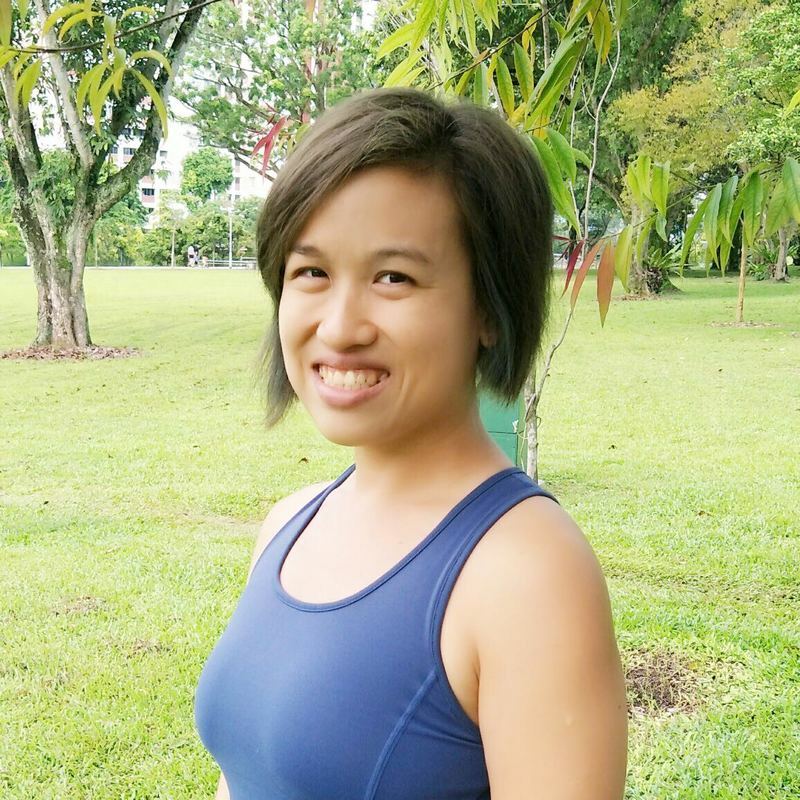 Jessin started practicing yoga in 2012 to help relief stress and sharp pains at her back. After 4 years of practice, she gradually learned a lot about body awareness and realised that yoga is something she is passionate about. Jessin is conducting flow yoga classes for advanced levels and all age groups. Marilyn initially started doing yoga as a way to keep fit. It was only after she took a teaching course that it became a passion. It was during her teacher training that she discovered yoga was more than just exercise. It touched her heart and mind as well. Having witnessed how yoga transforms lives, teaching became her way of giving back to the society. Marilyn’s classes are spontaneous, with emphasis on a safe and mindful practice, and lots of laughter! Dawn started yoga on and off in 2011 as a way to shed some weight as well as release stress and alleviate anxiety that had built up from the demands of her work. Interestingly, what started as a pasttime quickly became a (healthy) addiction and in 2012, Dawn decided to pursue yoga in depth and took her first 200 hours of yoga teacher training and subsequently, pre and post -natal yoga teacher training. She went on to retreats in India, the birth land of yoga in order to pursue the “roots” of yoga in hope of sharing her practice on and off the mat. Dawn’s classes focuses strongly on alignment and getting the full benefits out of each pose. Being mindful of one’s movement and flows with each breadth. More importantly, she believes that having fun and enjoying yourself is what makes a class or a practice session meaningful. She loves to be part of each and every student’s physical, mental and spiritual journey, witnessing them growing continuously on and off the mat. Christina holds a RYS 200 hours Yoga Alliance Certified Yoga Instructor Certificate from Vivekananda Yoga Anusandhana Samsthana (Vyasa) Indian Yoga Institute, Bangalore, India. She is also MOE registered instructor and First Aid with CPR + AED certified. 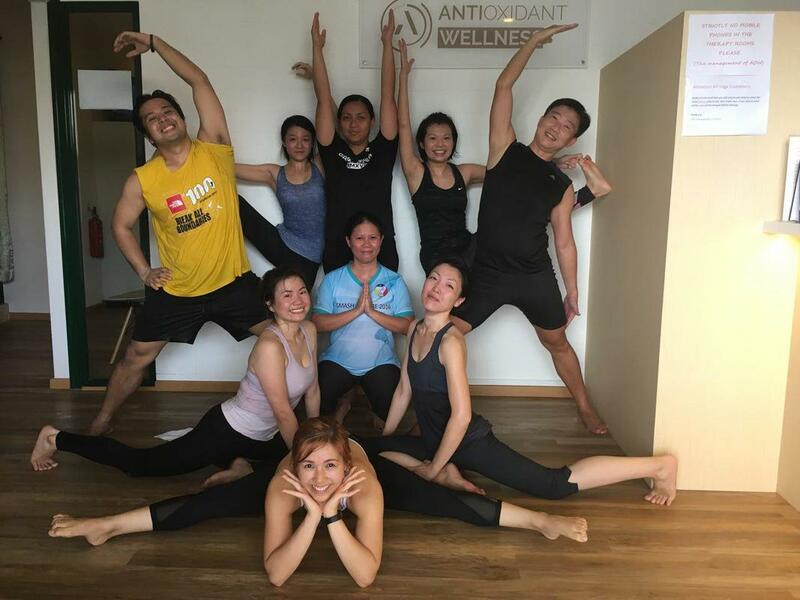 Despite having years of devoted practice and study, Christina believes in continuing her yoga practice and teaching to share yoga to all students with the aim to motivate and inspire students to connect with their inner self to explore their potential and heal through the power of Yoga.